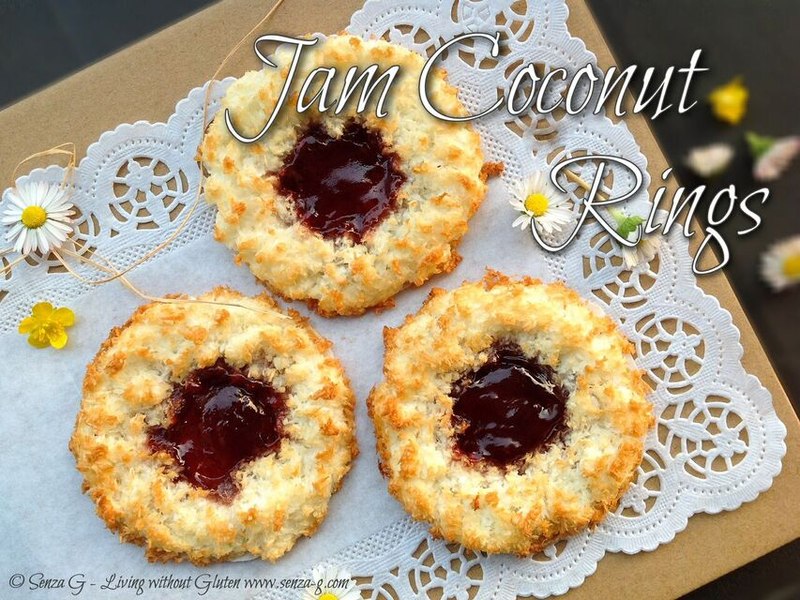 When last I was in London, I bought these delicious Gluten Free Jam Coconut Rings by Mrs Crimble’s and my, were they delicious ! So when I finally got back home, I decided to give them a try and make a home made version! 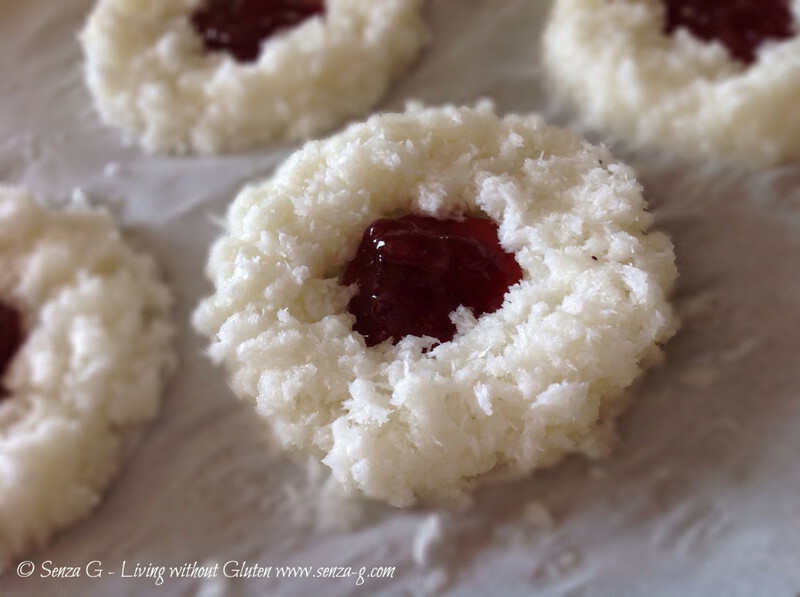 I used my normal recipe for coconut macaroons which are so simple to make. All you need to make these is some wafer paper (ostji). Please ensure that what you use is gluten free. And obviously some good strawberry jam! Start by cutting 3 to 4 inch circles out of the wafer paper, depending on what size you want them. I also cut smaller circles and placed in the middle of each larger circle so as to prevent the jam from seeping through. Place these wafer circles with the smaller ones on top, on a lined baking sheet. 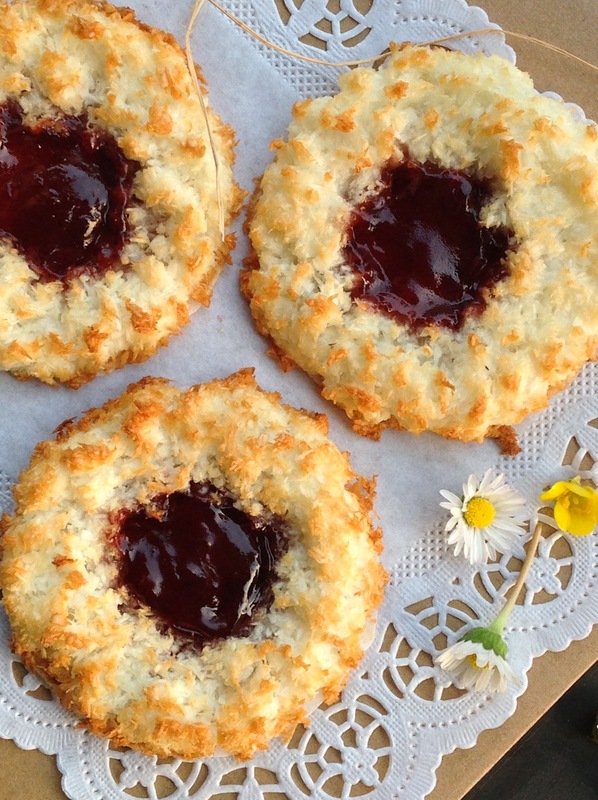 Put a heaped teaspoon of jam right in the middle. Set aside. Prepare the macaroon mix. Whisk the egg whites, sugar, vanilla, almond and salt in a bowl until the mix is frothy. Add the coconut to the egg white mix and stir until the coconut is completely combined. Place teaspoonfuls of macaroon mix around the circumference of the wafer circles and around the jam, making it as even and level as possible. Do the same for all the circles and macaroon mix. Bake in the oven until golden. Take them out and whilst still hot, place another half teaspoon of fresh jam in the middle. Leave to cool before serving.